The Congress Tuesday rejected BJP's claim that Rahul Gandhi wanted the Rafale deal scrapped to help a firm linked to his brother-in-law Robert Vadra and said the Modi government was responding to the alleged "scam" with abuses and mud-slinging. 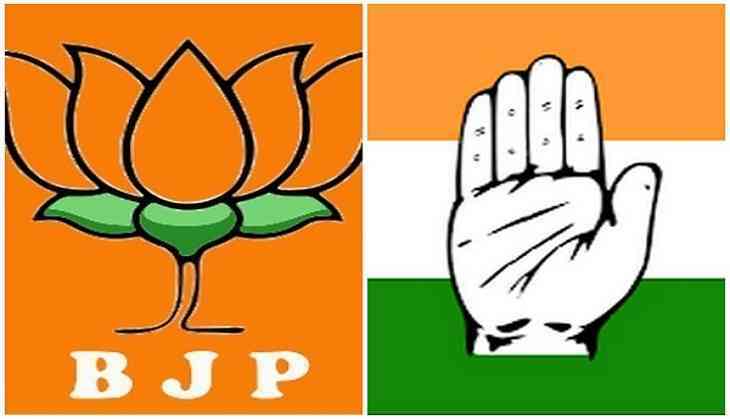 On Monday, the BJP alleged that the Congress president was involved in a "conspiracy, internationally" and former French president Francois Hollande was part of the "nexus" to sabotage the Rafale deal. Responding to the claims, Congress chief spokesperson Randeep Surjewala said the Congress government gave the contract to state-run firm Hindustan Aeronautics Limited and alleged that Prime Minister Narendra Modi gave it to Anil Ambani's Reliance Defence. "The tender was issued in 2007 August, and on December 12, 2012, it was opened...and in March 13, 2014, the Congress government gave the offset contract to state-run Hindustan Aeronautics Limited," Surjewala told reporters. He cited the statements made by Dassault Aviation CEO Eric Trappier and former HAL chairperson T S Raju. Hitting out at Law Minister Ravi Shankar Prasad and the Modi government, Surjewala said they were responding to the Rafale "scam" with abuses and mud-slinging. "The country has heard the tale of Ali Baba aur Chaalis Chor, now it is asking that when will Modi Baba and Chaalis Chor answer," Surjewala said in a word play on the folk tale "Ali Baba and the Forty Thieves". "Are you Ambani's PM, or the country's prime minister?" he asked. Bharatiya Janata Party leader and Union minister Gajendra Shekhawat had dragged the Gandhi family into the intensifying political row over the fighter aircraft deal, alleging that the UPA government had called off the multi-billion dollar deal after a private company linked to Vadra was not chosen as a broker. The Rafale controversy took a new turn last week after Hollande, who was French president when the Rs 58,000 crore deal was announced, was quoted as saying by French publication Mediapart on Friday that France was given "no choice" on selection of the Indian partner for Dassault and the Indian government proposed the name of Reliance as offset partner for the French aerospace giant.